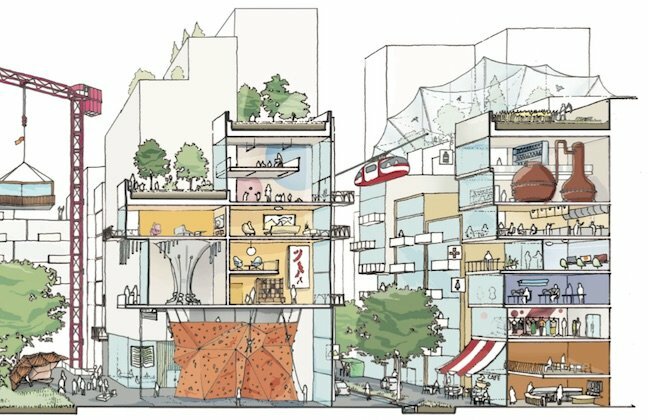 Alphabet's Sidewalk Labs venture has chosen Toronto as its urban laboratory – one in which humans may ultimately be optional. Google won't take over the entire city – at least not just yet. It's opted to redevelop 12 acres of the the city's waterfront, with 800 acres sitting idle next door – a space the size of Venice. Sidewalk describes it as "the first neighbourhood from the internet up" and "a neighbourhood built as an urban innovation platform", one that will be "a fully Google-fied neighbourhood" in the words of WiReD mag, which admits that there's an element of "Minority Report" dystopia to the plans. Data rules in the Googlezone, with everything monitored and analysed. It's what Google calls "the programmable public realm". "Building on a robust system of asset monitoring, Sidewalk can make areas of the public realm reservable for a wide range of temporary uses without impinging on the public's overall needs," the company burbles. Following the modern urban prejudice against automobiles, only self-driving vehicles ("taxibots" and "vanbots") and car-sharing rides will be permitted in the Googlezone. But it will have an API. "The ideas first tested there will take on new life when deployed at scale across the Eastern Waterfront district. Modular housing piloted in Quayside can produce whole neighbourhoods of lower-cost, quicker-to-build housing, enabling the market to meet burgeoning demand. A self-driving shuttle can bloom into a next-generation transit system that provides point-to-point convenience without the safety risks and high costs of private cars. A thermal grid pilot can become the foundation of a district-wide energy system that sets a global example for climate-positive living." 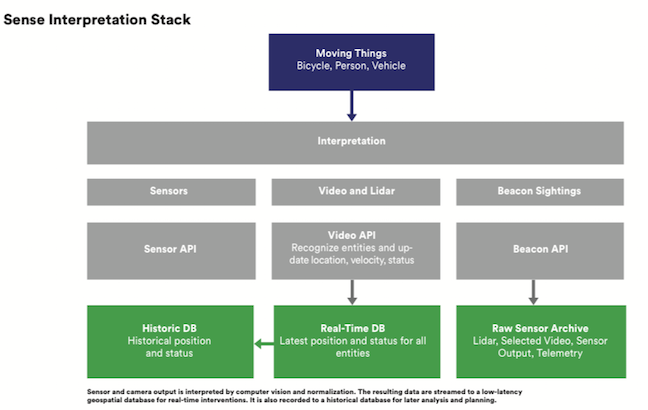 Everything will be recorded, as this diagram indicates, but Sidewalk says it doesn't need to keep a record of everything. The area will also be "climate positive", thanks to active power demand management, meaning the Robot Overlords will be able to turn off unused appliances off remotely. We couldn't help but notice that the buildings don't have curtain walls, but no doubt that's for the best in all possible worlds – and has something to do with optimising data collection. More in Sidewalk's submission here [WARNING 136MB PDF] and more documents live here.